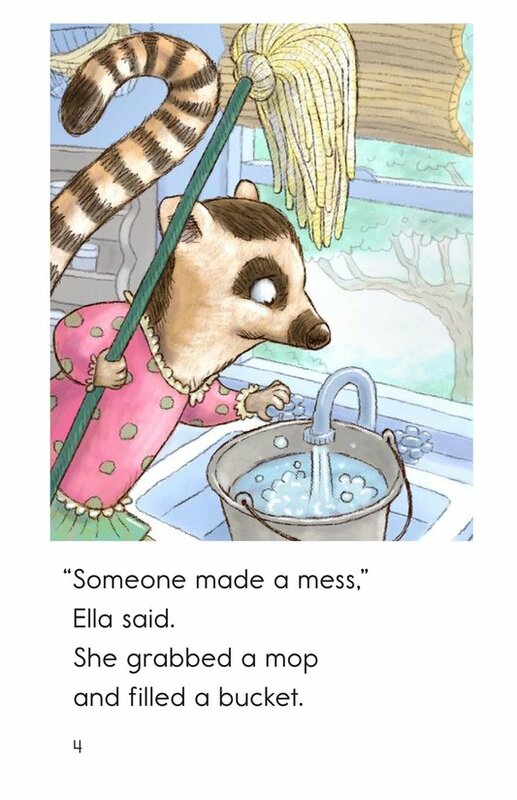 Hooray for the Farmer's Market! 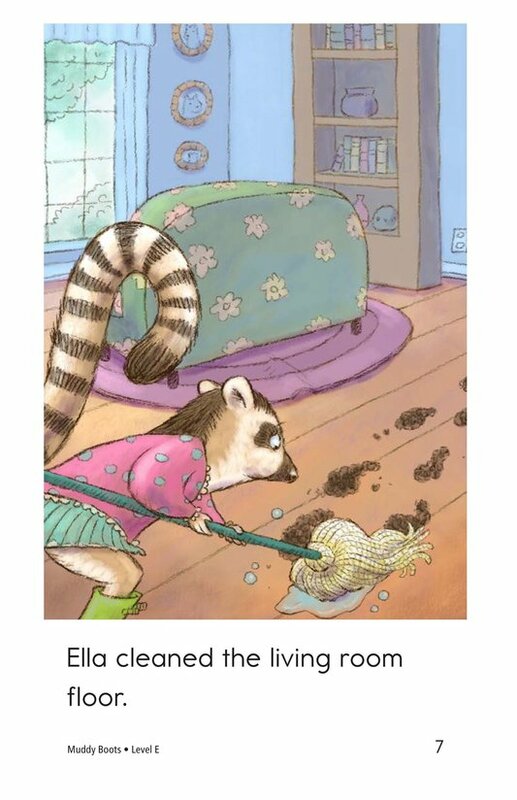 Ella's house is a mess! 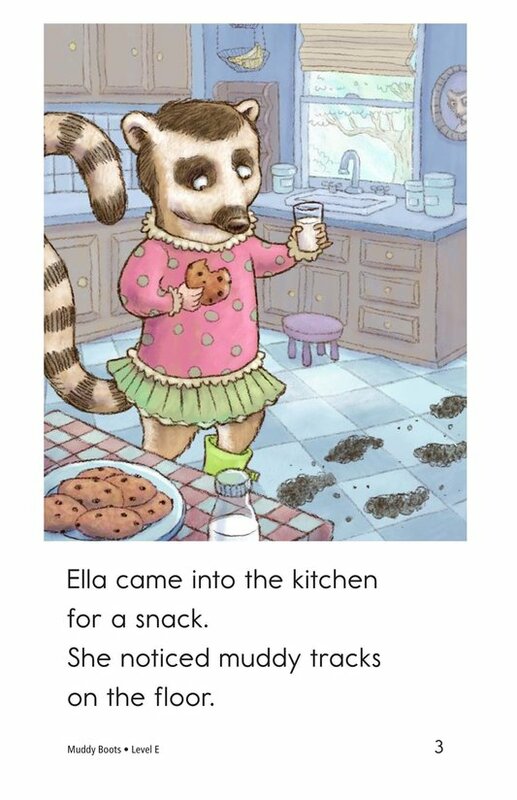 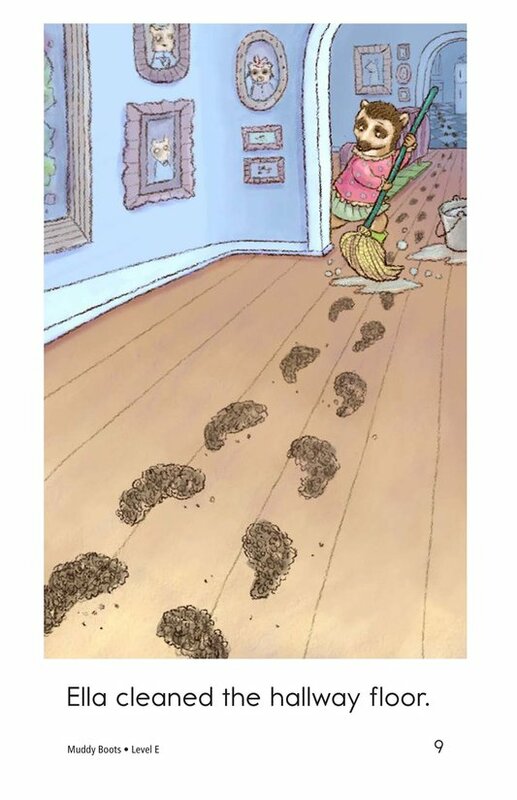 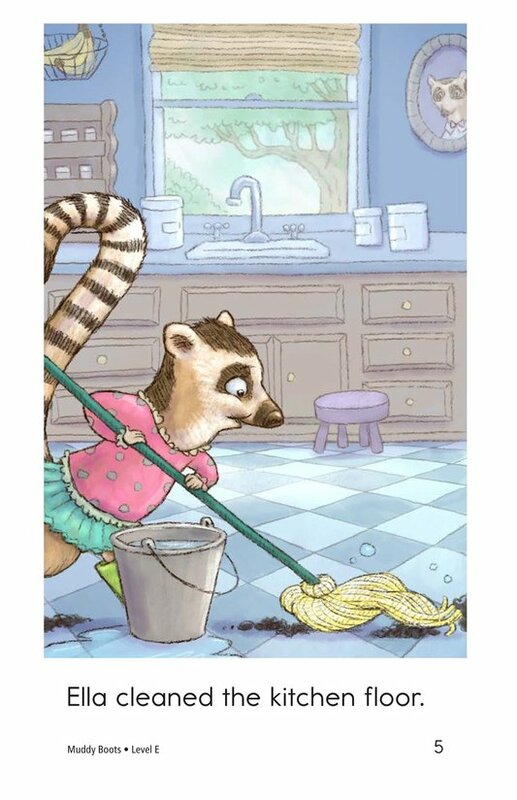 Follow Ella as she travels around her house cleaning up the mysterious muddy footsteps. 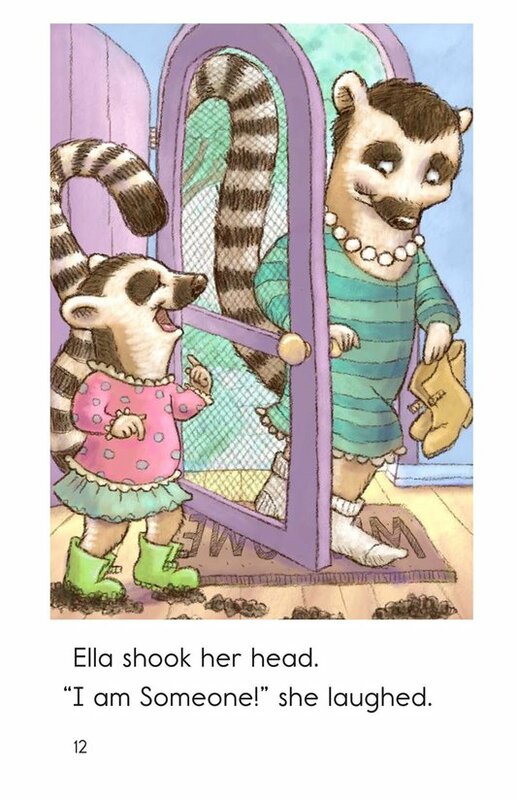 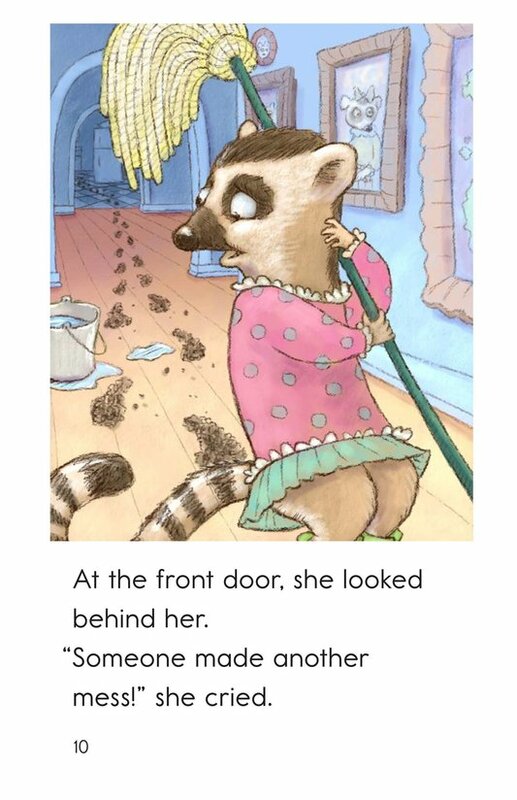 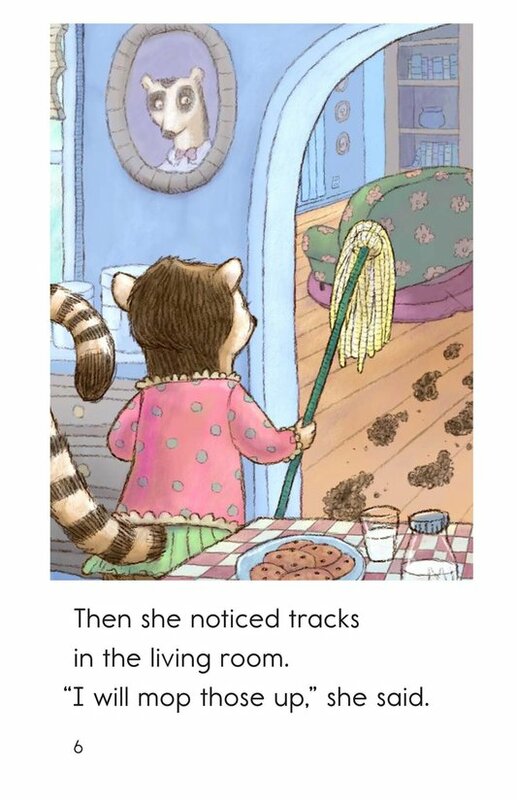 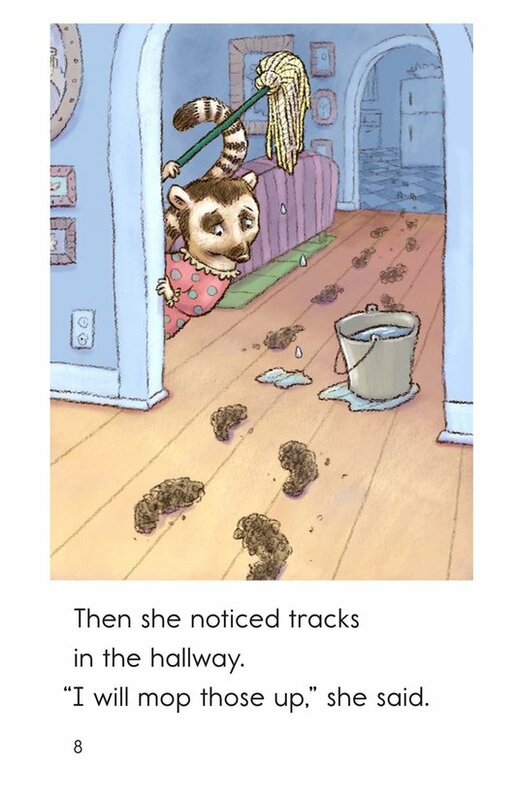 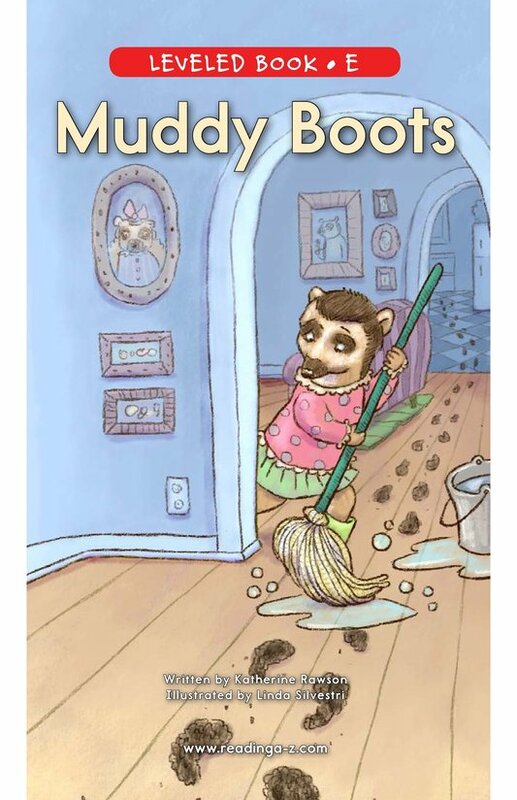 Will she find out whose muddy feet have been making such a mess? 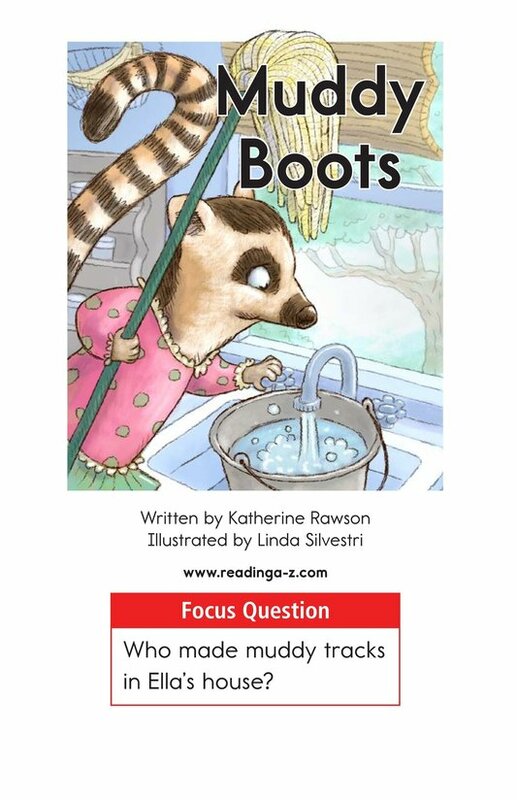 Muddy Boots is filled with detailed illustrations that will guide students to make, revise, and confirm predictions. 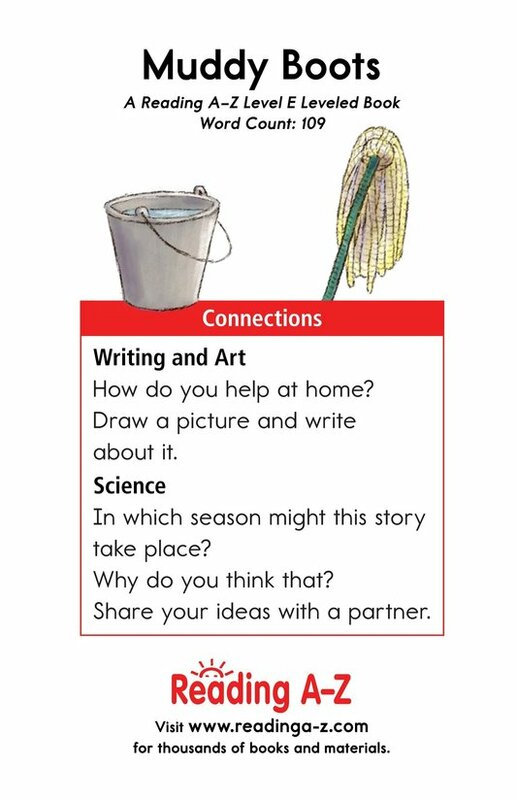 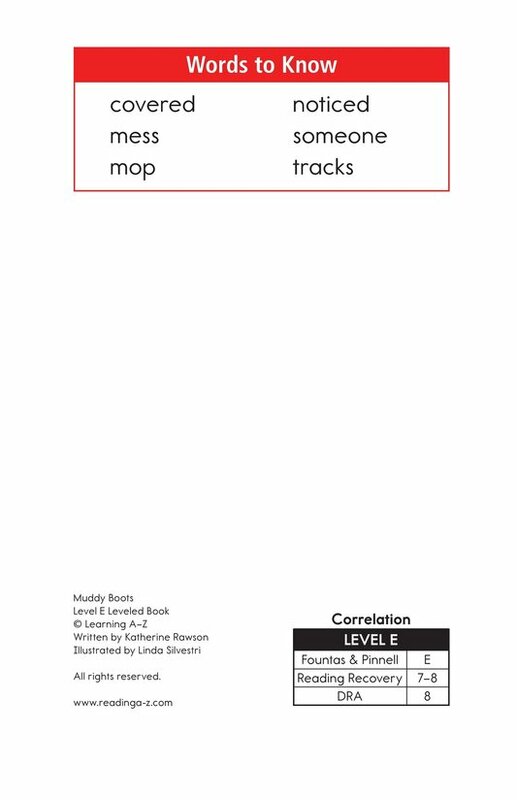 The predictable text and clear structure will also support students in identifying the sequence of events to better understand the story.